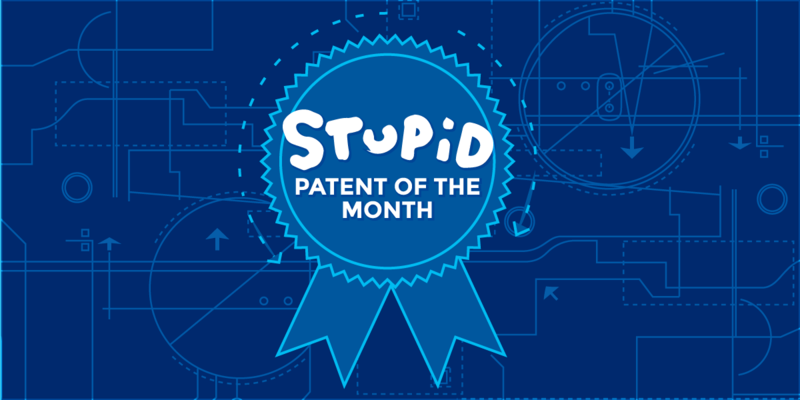 This month’s Stupid Patent shows what happens when the patent system strays outside its proper boundaries. US Patent No. 8,706,513 describes a “fungible basket of investment grade gems” for use in “financial instruments.” In other words, it’s a rating and trading system that attempts to turn diamonds into a tradeable commodity like oil, gold, or corn. Of course, creating new types of investment vehicles isn’t really an invention. And patents on newfangled financial techniques like this were generally barred following Bilski v. Kappos, a 2008 Supreme Court case that prevents the patenting of purely financial instruments. Since then, the law has become even less favorable to abstract business method patents like this one. In our view, the ’513 patent would not survive a challenge under Bilski or the Supreme Court’s 2014 decision in Alice v. CLS Bank. Despite its clear problems, the ’513 patent is being asserted in court—and one of the people best placed to testify against the patent may not be allowed to. The public’s right to challenge a patent in court is a critical part of the US patent system, that has always balanced the exclusive power of a patent. It’s especially important since patents are often granted by overworked examiners who get an average of 18 hours to review applications. But there are two types of persons that, increasingly, aren't allowed to challenge problematic patents: inventors of patents, and even partial owners of patents. Under a doctrine known as “assignor estoppel,” the Federal Circuit has barred inventors from challenging patents that they acquired for a former employer. Assignor estoppel was originally meant to cover a narrow set of circumstances—inventors who engaged in fraud or bad dealing, for instance—but the nation’s top patent court now routinely applies it to prevent inventors from challenging patents. In this case, the Federal Circuit’s expansive view of assignor estoppel may prevent a person who owned just a fraction of a patent from fighting back when that patent gets used in an attempt to quash a competing business. Despite the fact that this gemological trading system should never have been granted a patent, so far, it’s being successfully used by its owner to beat up on a competitor—and the competitor could be barred from even challenging the patent by assignor estoppel. GemShares was created in 2008 to market “diamond investment products.” The original partners were joined in business by a man named Arthur Lipton, who bought 20% of GemShares in 2013. He struck a deal not to compete with GemShares. GemShares says [PDF] Lipton broke that deal in 2014, when he started working on his own project, a “secure diamond smart card,” and filed for patents related to it. But in addition to breach of contract, GemShares sued for patent infringement. They said Lipton’s new business violated the ’513 patent. The Federal Circuit has made assignor estoppel so powerful, in fact, that Lipton’s 20% ownership contract with GemShares may be enough to stop him and his lawyers from mounting an invalidity defense. It’s bad policy to stop the public from challenging bad patents, and assignor estoppel should only be used in narrow cases, like outright fraud. As it’s been applied by the Federal Circuit, it’s destined to be used in exactly the way that Lemley warned it would—as an anticompetitive cudgel. We agree with the brief signed by Lemley and more than two dozen other law professors [PDF] in EVE-USA, Inc. v. Mentor Graphics Corp., arguing that the Supreme Court should take up this issue and keep assignor estoppel within the narrow limits it originally intended.